Net Promoter Score is broken. Here's how to fix it. In 2003, Fred Reichheld’s Net Promoter Score (NPS) took the industry by storm. In his Harvard Business Review article “The one number you need to grow” he posed that by asking a single question about loyalty, you could take a pulse of customers’ feelings towards your company. Brands everywhere rejoiced. Finally, there was a single metric for brand health that was simple to measure, trackable over time, and could correlate with growth. However, the truth isn’t so simple. Net Promoter Score is useless. At least by itself. Even if you’re unfamiliar with the term NPS, you’ve undoubtedly seen it scattered throughout the various marketing emails you’ve received. Customers are asked to rank on a scale from zero to 10: if they give you a nine or 10, they’re considered “promoters.” Zero to six are “detractors.” Throw out anyone scoring seven or eight (they’re considered “passive”), then subtract your detractors from promoters, and you have your NPS. An excellent score is 50 or higher, but anything above zero is positive. That means more people like you than don’t. However, that measurement by itself actually tells us very little about the most crucial part of brand health: the audience relationship. There are many shortcomings to how NPS is calculated. This article by Jared M. Spool talks about them in detail, but the greatest disservice done to NPS is not how it’s formulated: it’s how it’s most often used. Many companies and their leaders will simply point to their NPS year over year as a sign of brand health. If the numbers go up, the brand is thriving. If the numbers go down, we have a serious problem. However, no matter which way the numbers go, this approach doesn’t provide anything useful to the brand caretakers. That’s because NPS on its own is devoid of context. Just like any tracked metric, NPS is only as good as the meaning we can attach to it. The irony of human-driven insight is to approach its measurement in a calculated, scientific manner. Be deliberate and consistent with your research to ensure you get the findings you need to truly learn about your customers. In a straight-forward satisfaction survey you can add an immensely important layer of context by simply following up with the open-ended questions “Why? What did we do well, what could we improve?” Sure, organizing and analyzing free-form answers can be a rigorous process, but insights are priceless. Customer experience doesn’t come from only one part of the customer journey. It’s the sum of all the interactions people have with a brand and it can vary wildly between groups. That’s why it’s important to be strategic about how and where you ask customers for an NPS. Ask it at different points in the customer journey to see the bigger picture. When and where are our opportunities to talk to our happiest customers? Our least-satisfied ones? Ensure surveys are designed to attach demographic information to the scores. Do different groups feel a different way? This may be the simplest way to add nuance to your NPS findings, but it’s often overlooked. Even if it’s simply knowing who said it or when, context is crucial to be able to start the journey from numbers to insights. NPS’s simplicity has been perceived as its greatest strength. It’s been used as a magic metric to solve everything from brand love to customer satisfaction. But without context to the measurement it tells us nothing at all. 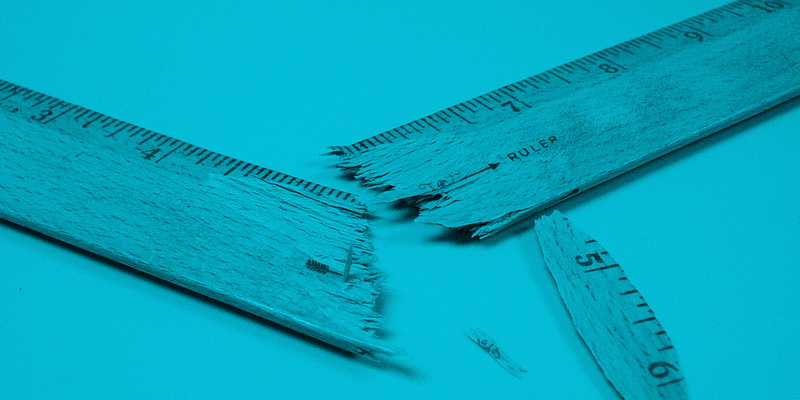 If you’re interested in making meaning out of metrics, give us a call, or shoot us an email. We build and measure healthy brands.